Third race of the week is a local one (well 80 miles away) Ironman UK 70.3. Wimbleball ranks as one of the toughest Ironman 70.3 courses thanks to the constant ups and downs on both bike and run. So it’s never a surprise to see relatively slow times at this race. This year there were no pros racing which does affect the front end of the distributions, but doesn’t have a huge impact on averages. 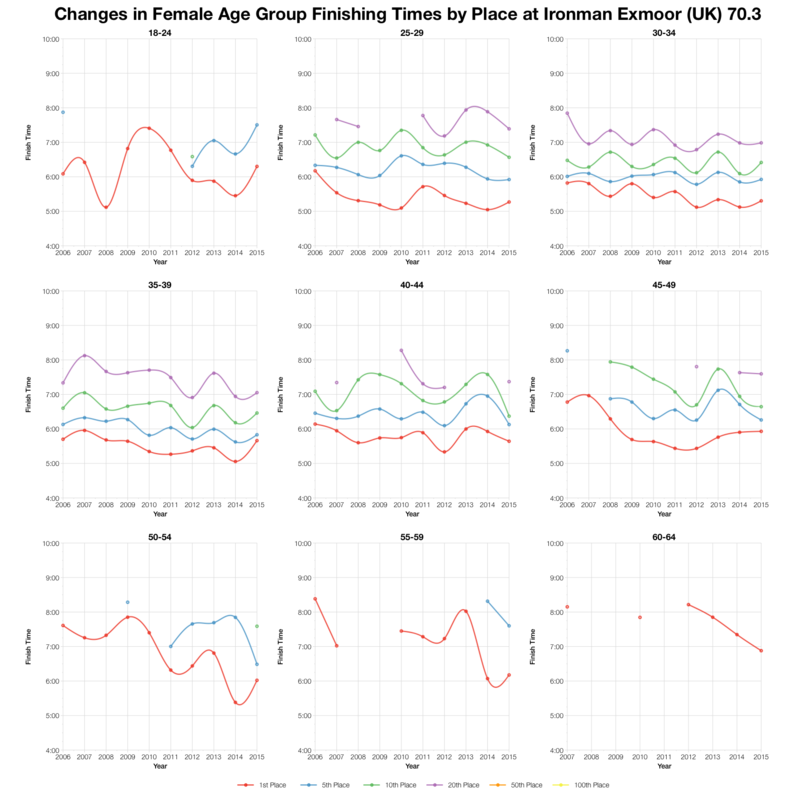 The only obvious point to pick out from the medians is apparently faster swim times at this year’s race. 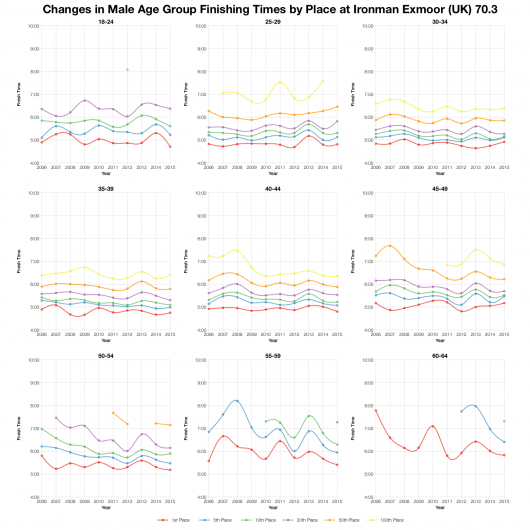 There appears to be a consistent improvement across the board in swim times over the previous medians. 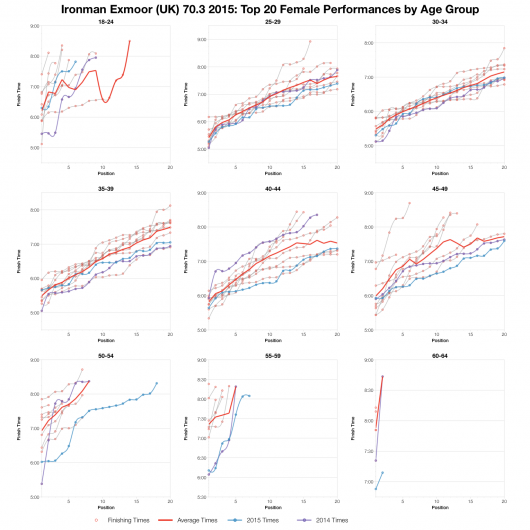 nothing else is as clear cut – bike and run vary with age groups, some faster, some slower, but generally by smaller margins. The split distributions confirm that the swim was faster this year, there’s a definite left shift in the chart. 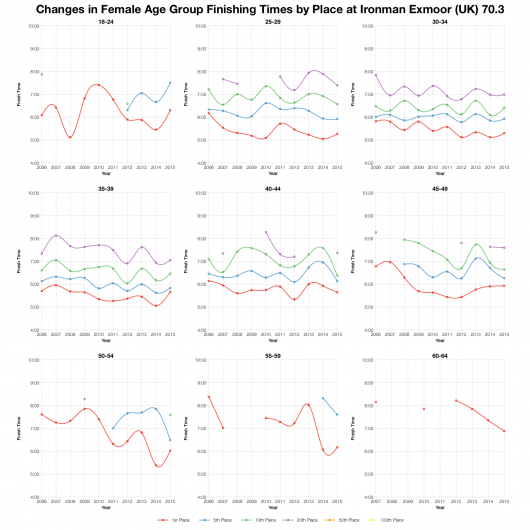 The bike on the other hand appears to have shifted towards the right with a somewhat slower distribution at this year’s event. Run and overall come out largely in line with previous events. Without the pros the leading edge of these charts isn’t quite as long. 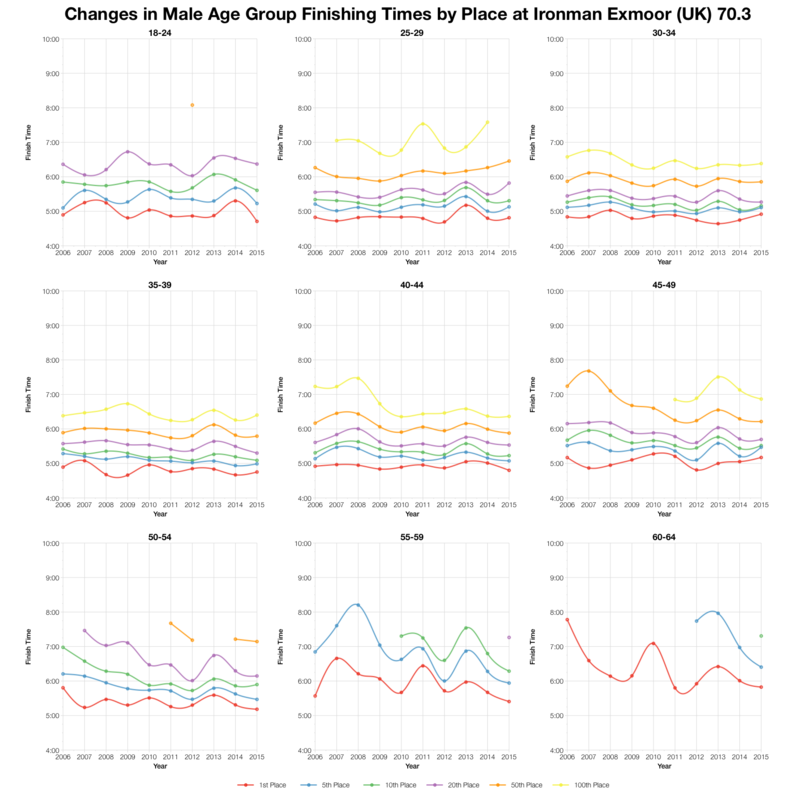 The finishing times for individual positions largely fall in line with previous years. 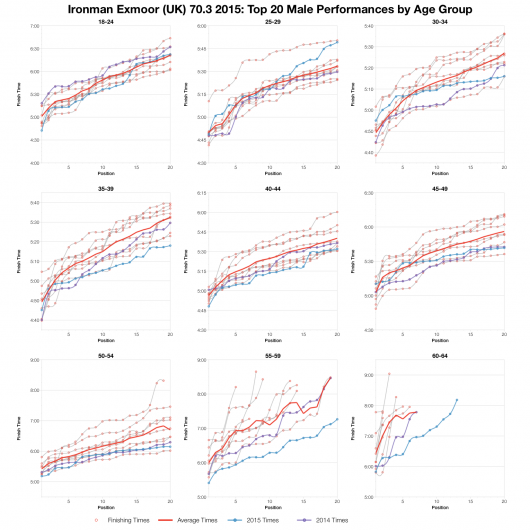 A few stand out a little more, the few racing in the M60-64 age group seem to be getting faster every year. Otherwise the results fit well with past performances. 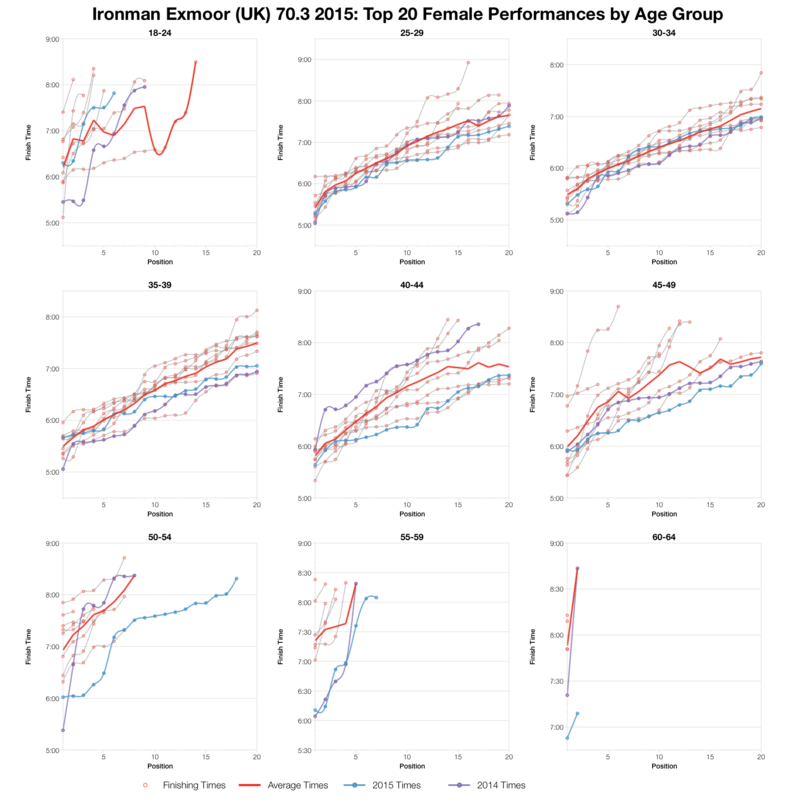 At the front of the race age groups tended to be a little faster than the average. 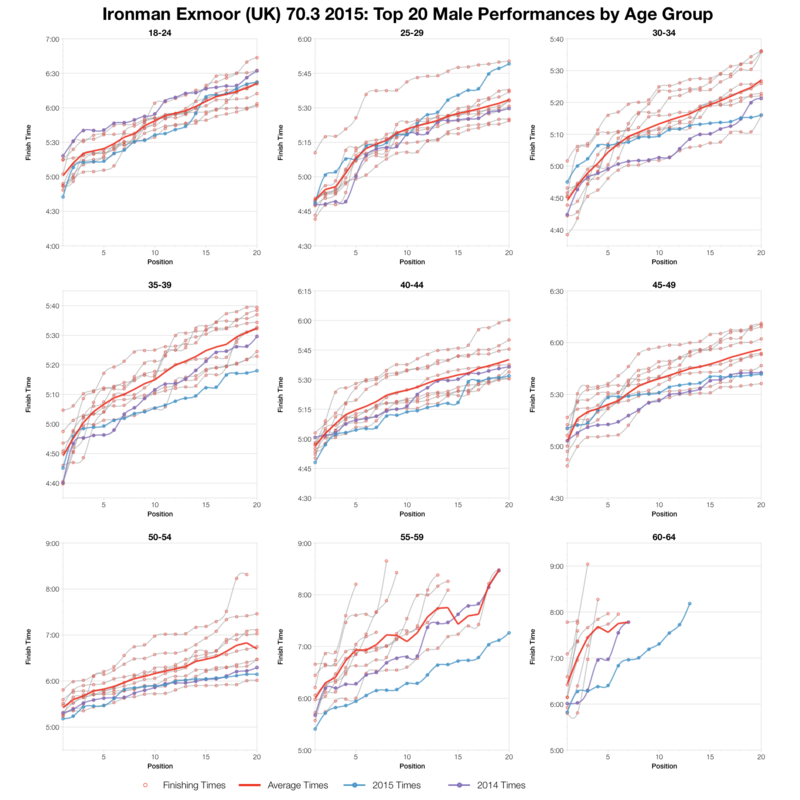 There are a few who fall more inline with average times or even come out a bit slower, but more come out ahead. 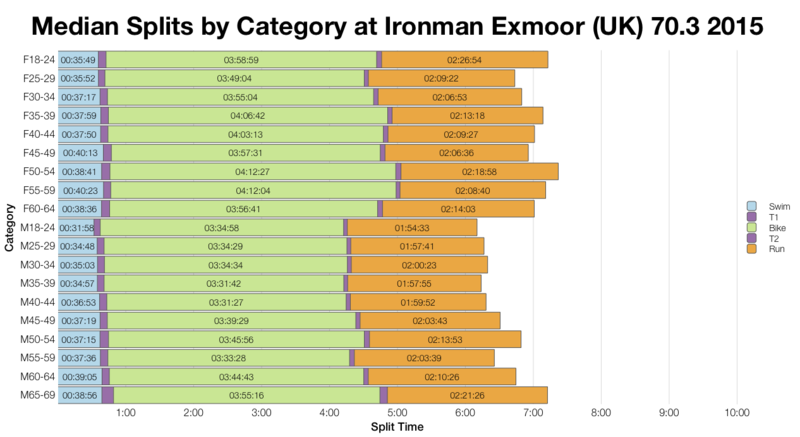 So while there’s nothing particularly unusual in this year’s results – perhaps the fast swim being the only notable point – the front of pack were closer to the fast end of Wimbleball times. 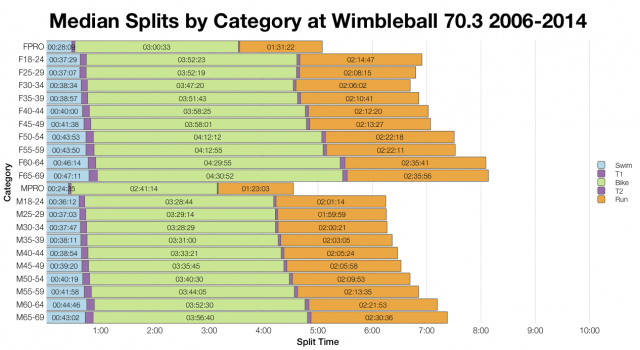 A spreadsheet of the full results and splits for Ironman UK 70.3 2015 can be accessed on my Google Drive.